Imagine this. 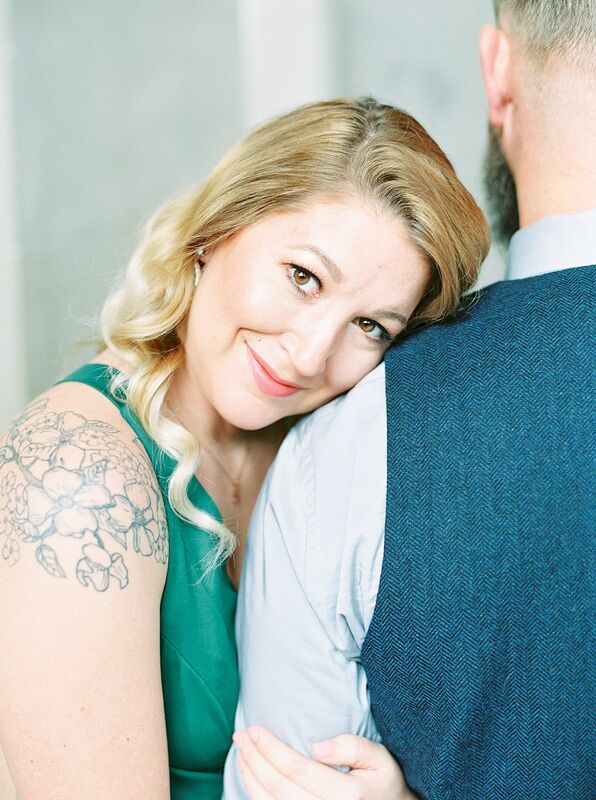 You have a gorgeous, custom ring picked out. Completely custom. 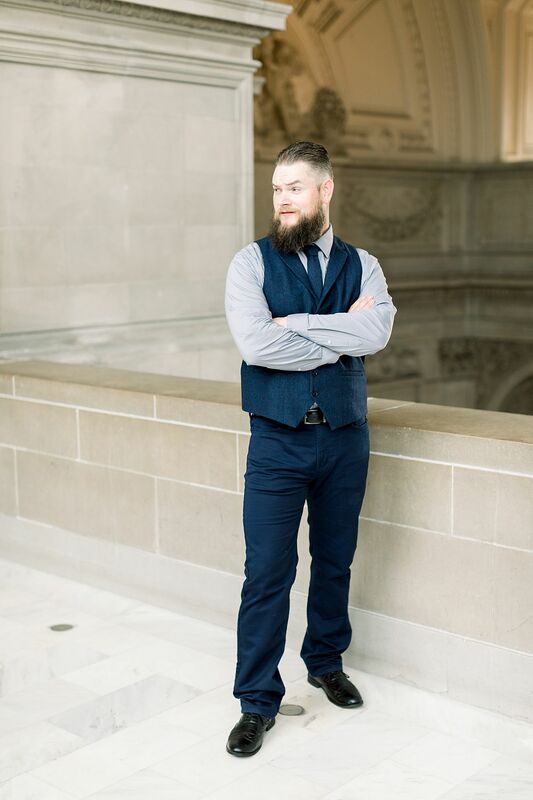 On a website you’ve been following for some time. 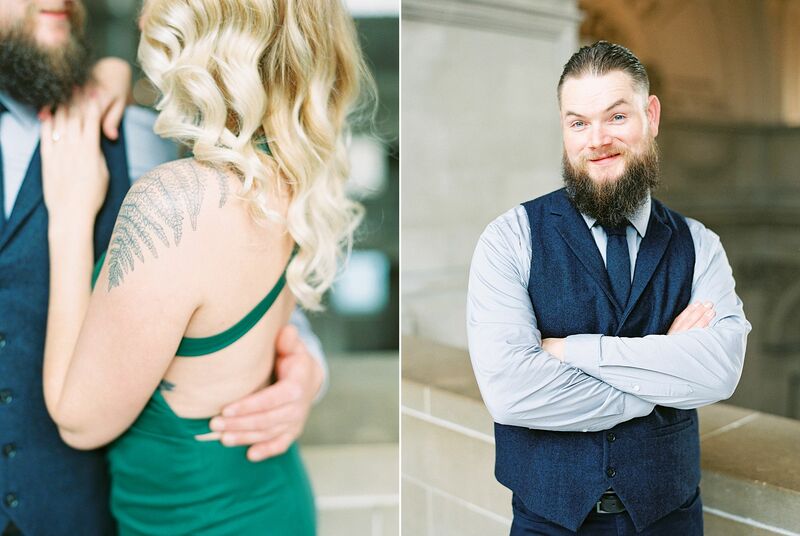 And, you know, you want to get married. So you’re telling your sweetheart that you’re ready for the next chapter and you hope it includes this ring. But you’re dating someone who is terrible at surprises. 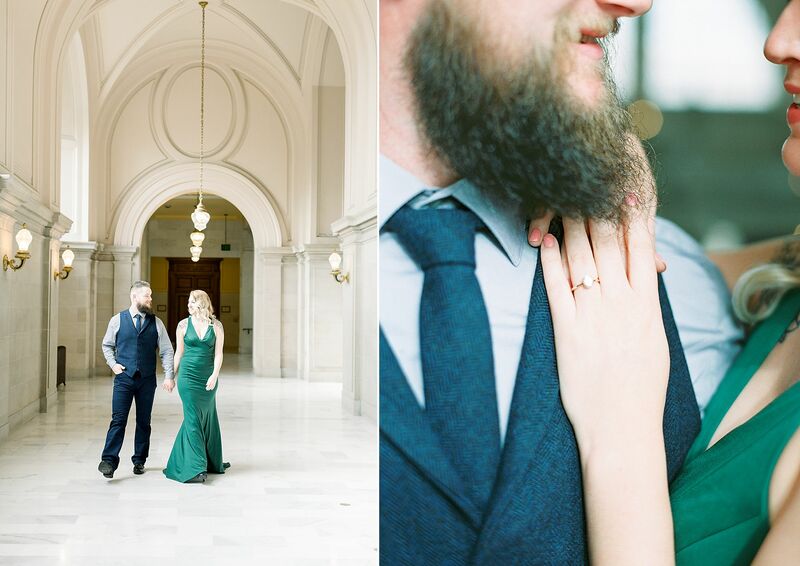 You resolve to knowing you’ll probably totally know when the proposal is coming and it might not be THE ring. But on a fun night out with friends, in one of your favorite bars, you joke with him about the ring. He pulls out his phone and says “this ring?”. 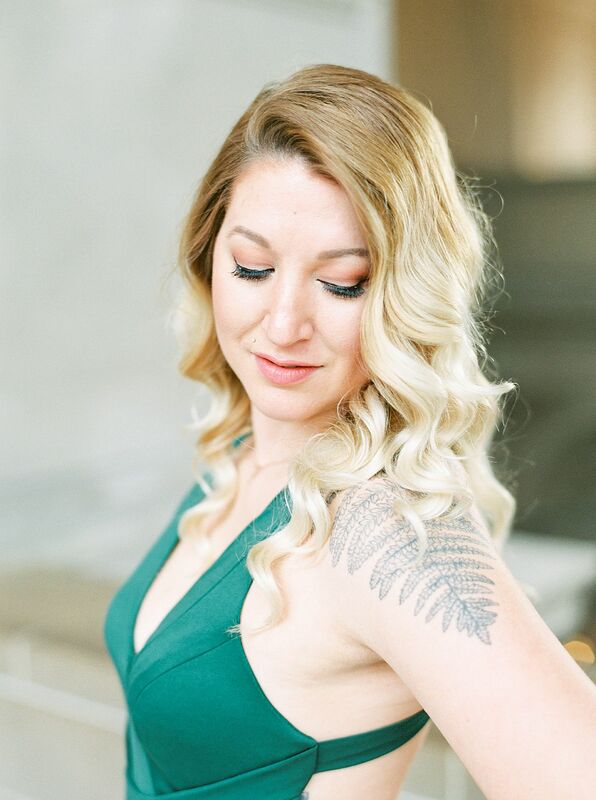 Excitedly you reach for your phone to show him the EXACT same picture to turn around to him revealing the actual custom ring you want and a proposal to last a lifetime. 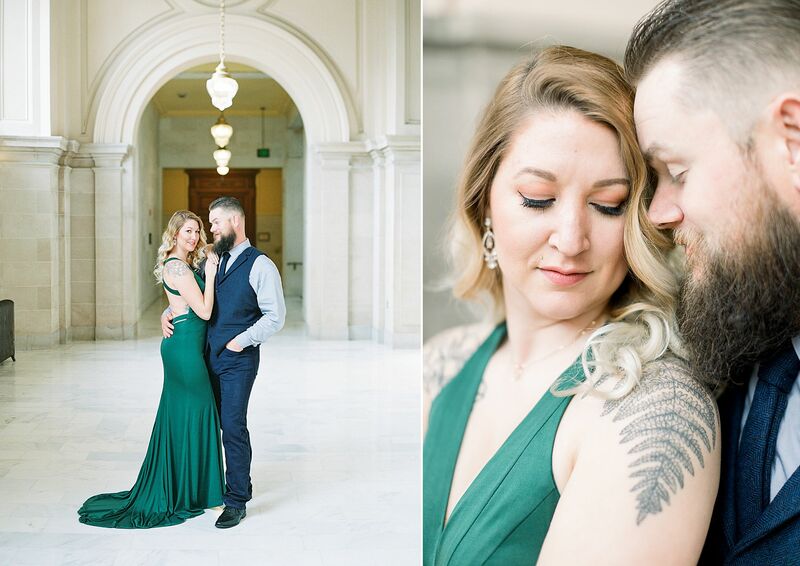 That’s the moment that brought Tiffany and Jesse to this day for their SF City Hall Engagement Photos. 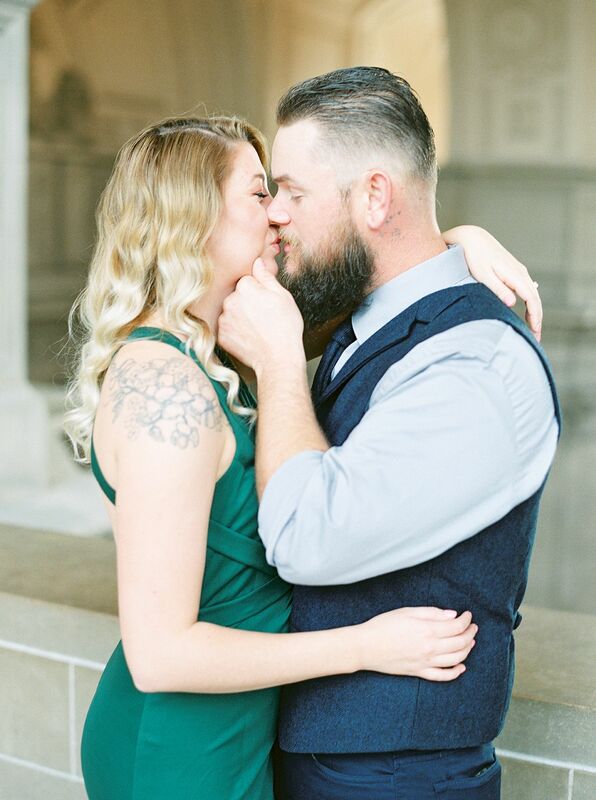 Tiffany and Jesse, Thank you so much for sharing your love story with me and that thrilling proposal story! 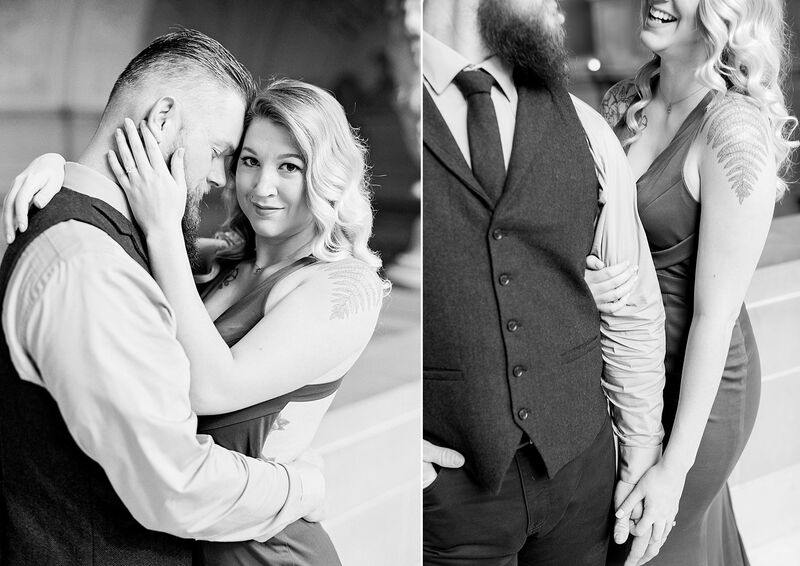 I love hearing about couples’ fun starts to their happily ever after. 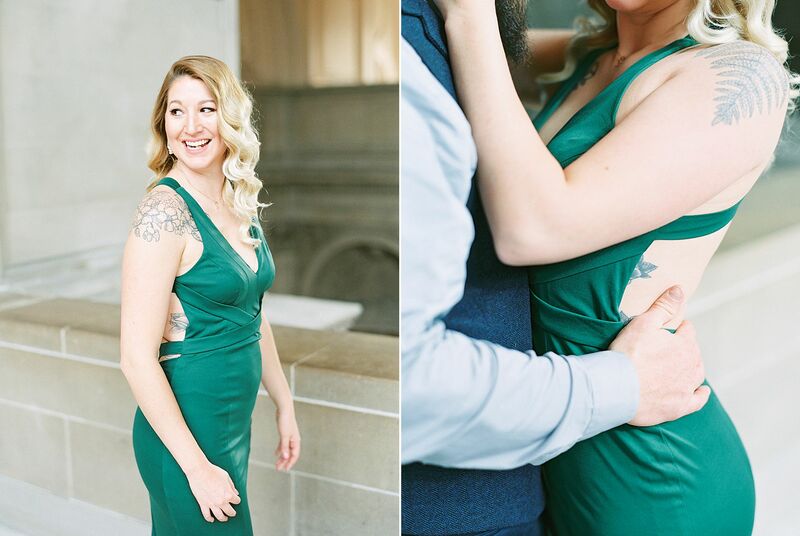 Thank you for entrusting me to capture your engagement and upcoming wedding, especially as a photographer! I cannot wait to meet your friends and family, celebrate with you two, and capture the start of your legacy of live. Because if it’s anything like that proposal story, it’s going to be a good one! 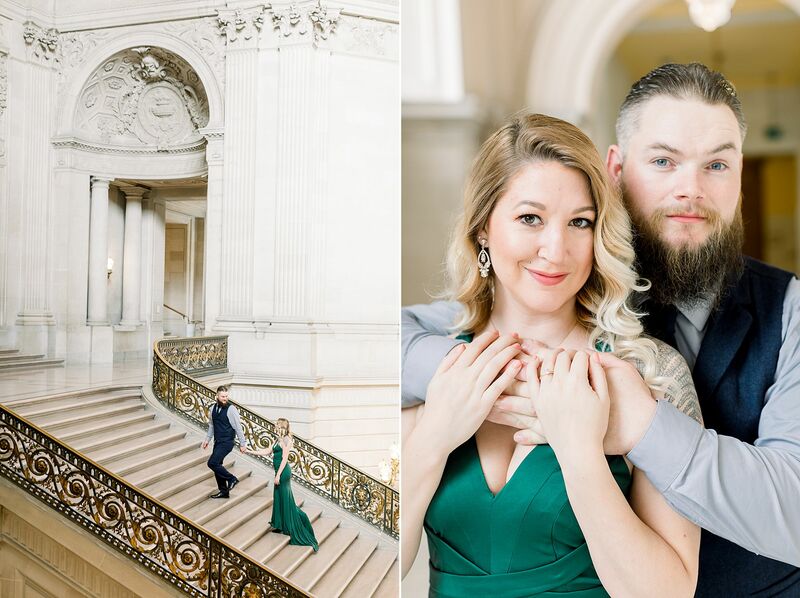 We love SF City Hall for Engagement Photos. 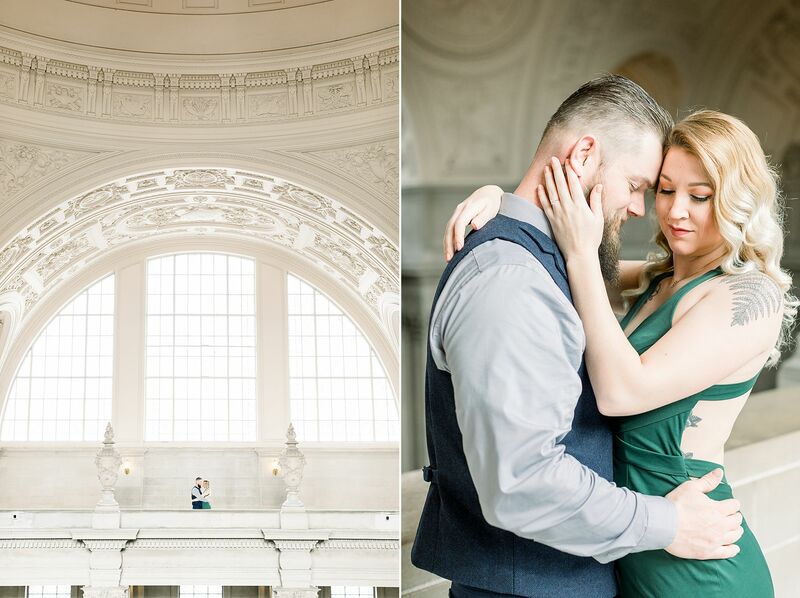 It’s probably our favorite place to take pictures indoors (when we thrive on nature and natural light)! And that is why, time and time again, we return to this gorgeous place with architecture that can’t be beaten (unless we were in Europe, someday!). 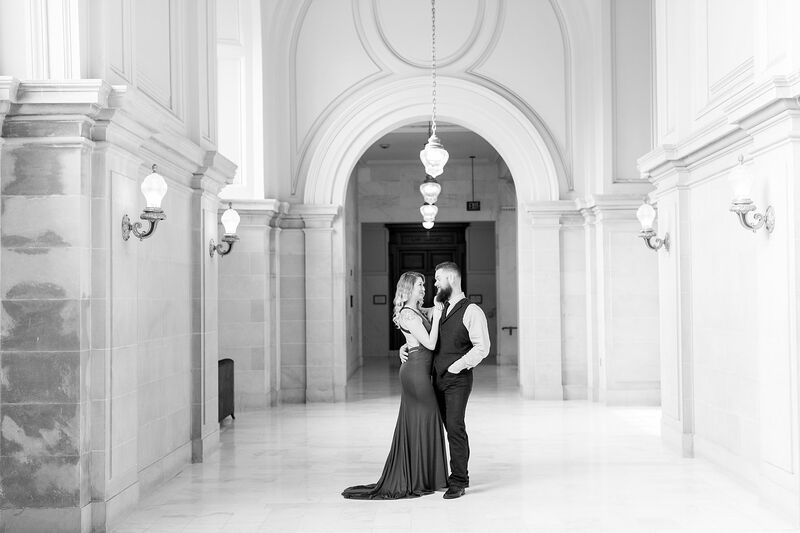 Interested in scheduling your own SF City Hall Engagement Photos? Click here. 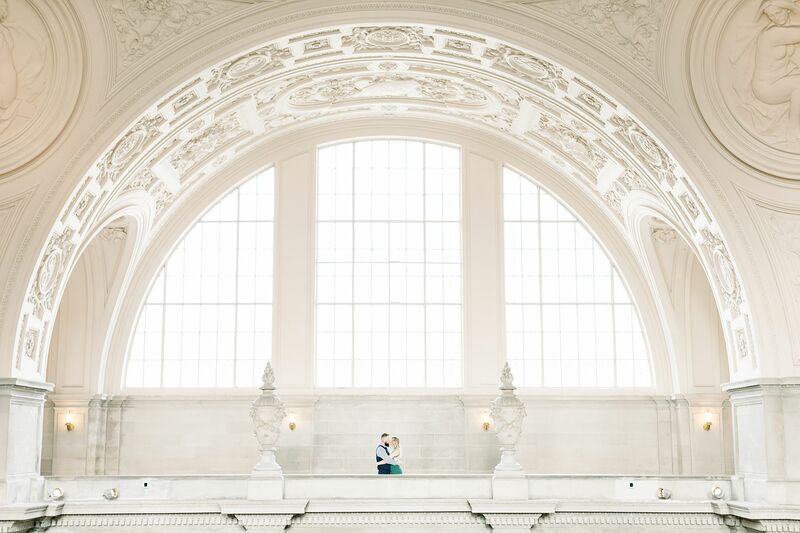 San Francisco City Hall is a gorgeous place to get married if you’re looking to elope or have a small, intimate ceremony. 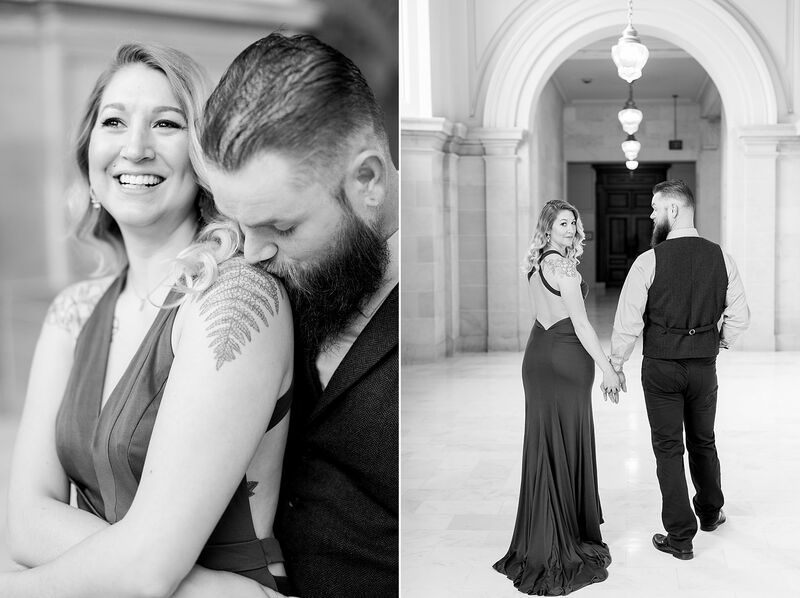 Interested in a SF City Hall Wedding? Message us here. 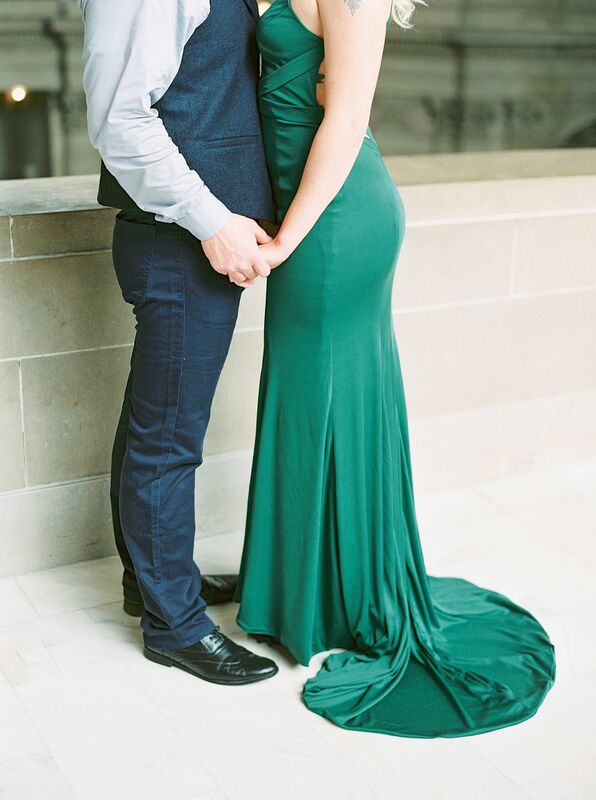 We loved being a part of Ada and Albert’s Intimate Wedding Day. 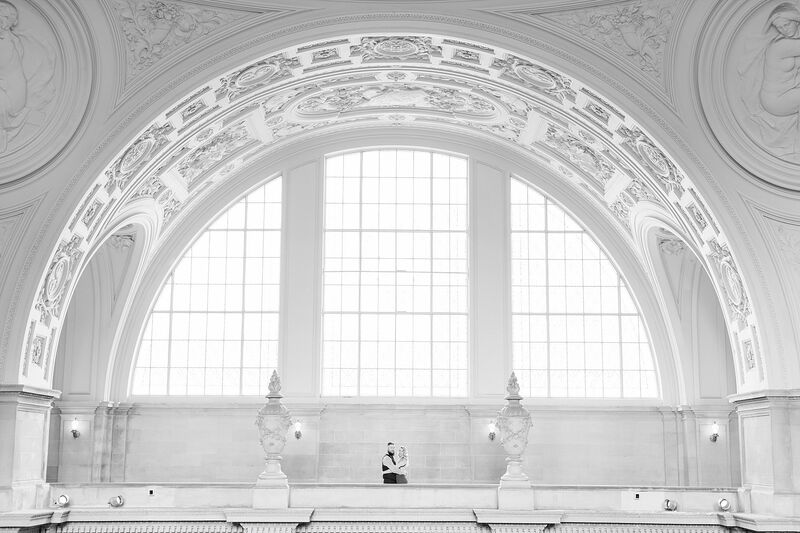 Follow along on Instagram for more behind the scenes of when we’re at SF City Hall!